Dow Jones Industrial Average (^DJI) and S&P500; Latest market is similar to 2005 market. Today, we compare S&P500 and DJI character in past 1000 weeks. We compare them using our unique INDEX. 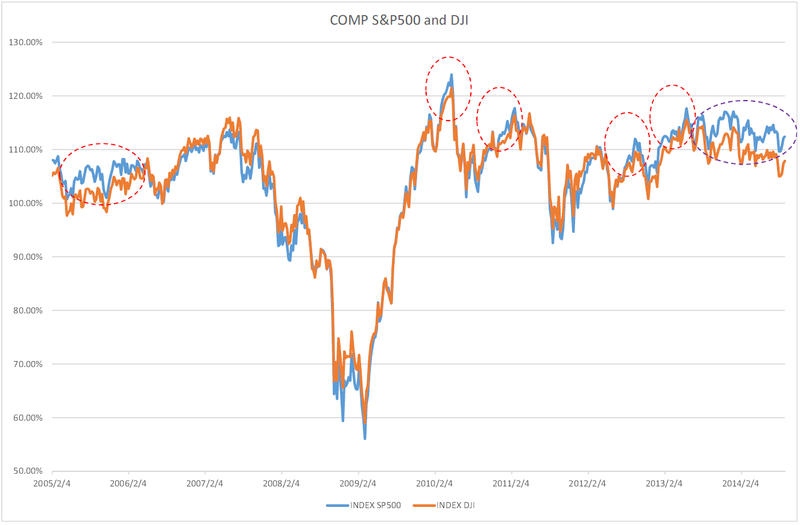 From the chart, we can find out S&P500 and DJI follow its performance. And DJI follow its performance after that. The recent market and 2005 market is very similar; S&P500 was outperformed for long term. And we can estimate DJI will follow its performance in future. 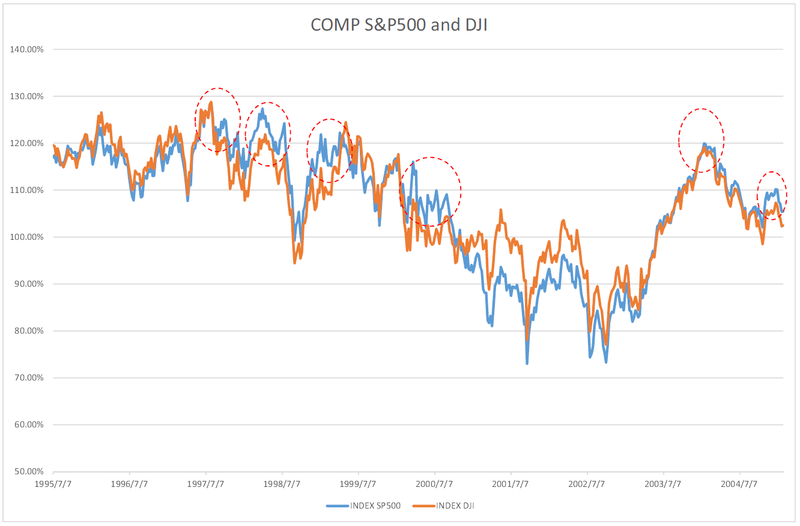 We compare S&P500 and TOPIX and find high covariance value. It is not good in becoming like 1989/12/29. Today, we also analyze S&P500 and TOPIX based on close price. 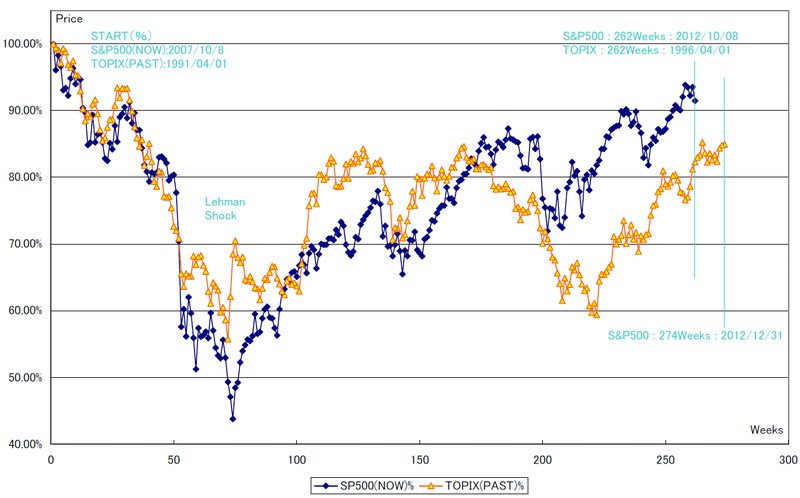 This is the percentage based chart and the base point are TOPIX highest (04/01/1991) and S&P500 high (10/08/2007). 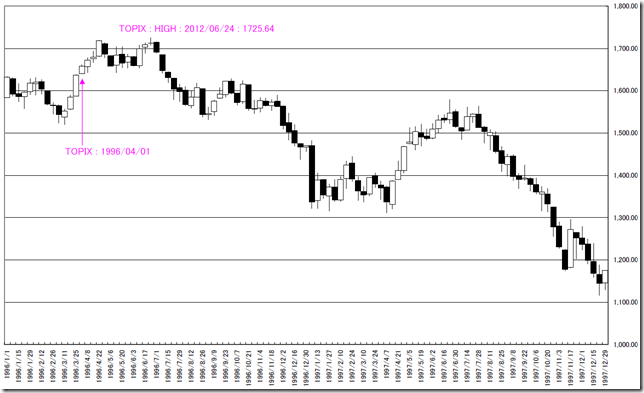 In 241 weeks (05/22/2012), the covariance value was 0.65point. In last week (262weeks), the covariance value was 0.63point. The relation becomes little weaker; but the value still keeps correlation. 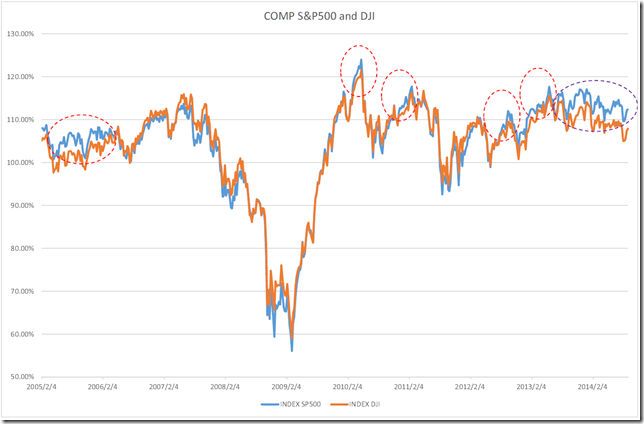 In future, if the S&P500 and TOPIX keep correlation, S&P500 will become the high price zone. TOPIX becomes the high price at 06/24/1996 week (274weeks) and it can not cut at 01/03/2000 (183weeks). 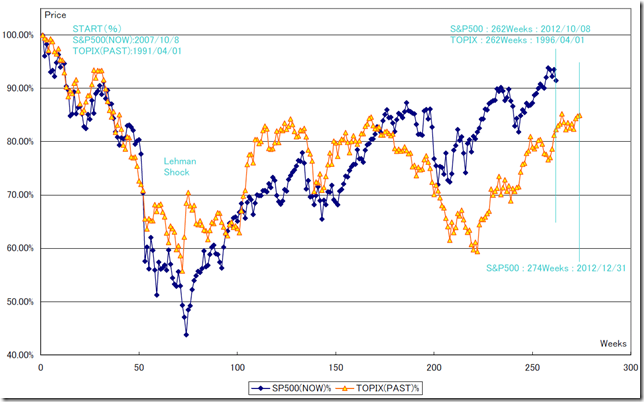 Appling S&P500 to 274weeks, it is 12/31/2012 week. We can remember Nikkei Average for an end-of-the-year high price. 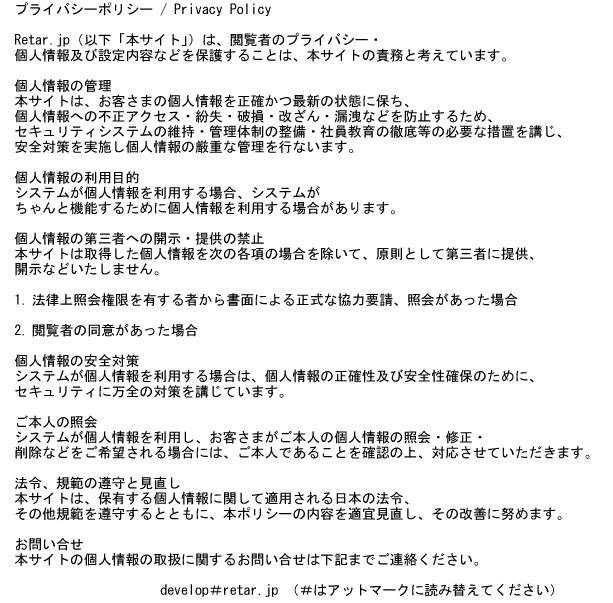 It is not good in becoming like 1989/12/29.